A personal sacrifice, when done right, can be an incredibly moving and effective part of a story. When done wrong, it can deflate the entire narrative. Often, the difference is between a true sacrifice and an unearned gimmick. For the sake of relevance, we’ll look at the sacrifices in Dunkirk, Christopher Nolan’s latest film, and show how even a subtle depiction of true sacrifice can be more moving than a sweeping depiction of a false one. Nolan’s films have never really been subtle. For the most part his films have catered to that first theater viewing — that initial experience is what counts. This leads to some heavily expository dialogue designed to keep the viewer oriented at every turn: who’s who, what timeline we’re in, what the various characters’ motivations are. On that initial viewing, the exposition is nice to have and it’s effective in drawing your attention where Nolan wishes it to be, while that same exposition can make repeat viewings a bit burdensome. Whether Dunkirk is a response to this much-addressed criticism or not, it’s certainly a departure from the usual. We’re given next to no expository dialogue, with the few orientations we need delivered via title cards and through overheard strategic plans. We don’t know who these people are, we don’t know what they’ve seen, but we’re clued into their recent pasts by their reaction — or lack of reaction — to seeing their friends gunned down left and right. This choice is risky. The narrative advice writers are usually given is to make sure their characters have a story — a history, a background that defines their choices. But in Dunkirk, our characters are proxies, seemingly meant to stand as any one of the thousands who shared those experiences, or to stand as representatives of Britain as a whole; any character background is almost entirely generic. So why is this effective? Why do we care about Tom Hardy’s character even though his face and his voice are shrouded for nearly the entire film? Why do the unnamed citizens coming to rescue their countrymen invoke such emotion? We’ve been told that this shouldn’t work. Stakes are important in filmmaking. Conflict is essential for strong narrative storytelling. And sacrifice must mean something. In so many franchise films, this concept has largely flown out the window. Take, for instance, The Avengers (2012). There’s conflict, there’s escalation, and the stakes are clear (though, per the genre, extreme). All of America’s supposedly favorite superheroes battling evil together, including Iron Man, who we all apparently love. So the setup is strong. But the problem comes at the end of the battle. Tony Stark, in a moment of apparent character growth, retrieves the nuclear warhead that’s about to blow up Manhattan and flies through a wormhole into space in a moment of self-sacrifice. 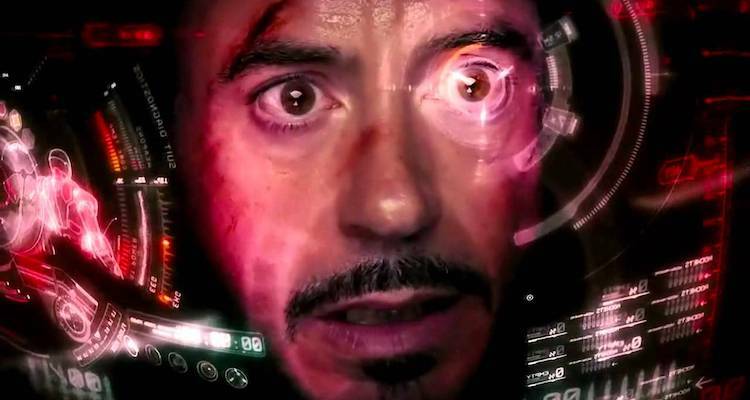 It’s a one-way trip, his computer tells him, and we’re to believe this is Very Serious and that Iron Man is going to die, except for the dozen sequels already announced at this point. While this had the potential to be a definitive moment, they of course couldn’t actually kill Iron Man. Nobody really thinks he’s going to die — and he should have. We cut from somber face to somber face showing us it’s a somber moment, and then of course Iron Man’s sacrifice is undercut. He magically falls back through the wormhole just in time and is perfectly fine, unharmed by his close proximity to a nuclear bomb, his exposure to empty space, and his free-fall being interrupted by the Hulk slamming him into a building. Of course, I’m not debating the physics of a superhero movie. The film refusing to let his personal sacrifice be a real sacrifice makes the whole thing seem to blow over with no real consequences. The city is left in ruins but apparently nobody was seriously hurt. But even worse, Tony Stark isn’t changed by his brush with death. And then the viewers are practically mocked for ever caring in a post-credits sequence that shows there weren’t any emotional stakes, either. Nolan falls victim to this himself in The Dark Knight Rises (2012). How much more poignant would that film have been if Bruce Wayne had actually sacrificed himself to save the city instead of just tricking the viewer into thinking he had? This doesn’t mean that an intended sacrifice must be fatal to be meaningful. But if not, it should at least signal a change in the character. Gandalf sacrifices himself for his friends in The Fellowship of the Ring, only to return, but when he returns he has changed. He’s fought with death itself and emerged a wiser being. This is the crux of narrative structure in general: the journey must lead to change, or the journey wasn’t worth taking. So Dunkirk’s heroes have changed. In fact, they’ve done much of the changing before we see them. Whether it’s a pilot continuing the aerial dogfight despite knowing the fuel is running out, or civilians sailing the boats that represent their livelihoods into enemy waters to rescue their countrymen, they realize that their sacrifice could be the ultimate one. They choose to do it anyway because the cause demands it, even if it’s a difficult decision. They know they’re just a tiny cog in an enormous war machine, and the war has changed them, stripped their sense of self. Tom Hardy’s final scenes are powerful because we know as well as he does that there is no tidy end to this story. Five years remain in the war and he’s in the hands of the enemy. Not every story calls for a character to lay down their life for their friends. But if they do, there’d damn well better be a reason. Daxson Hale lives in Provo, Utah, where being named “Daxson” is not a sacrifice.